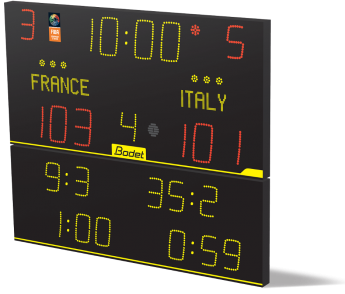 The 8T225 Alpha multi-sport scoreboard was designed specifically for sports requiring the display of sets or penalties such as badminton, tennis, volleyball and futsal. 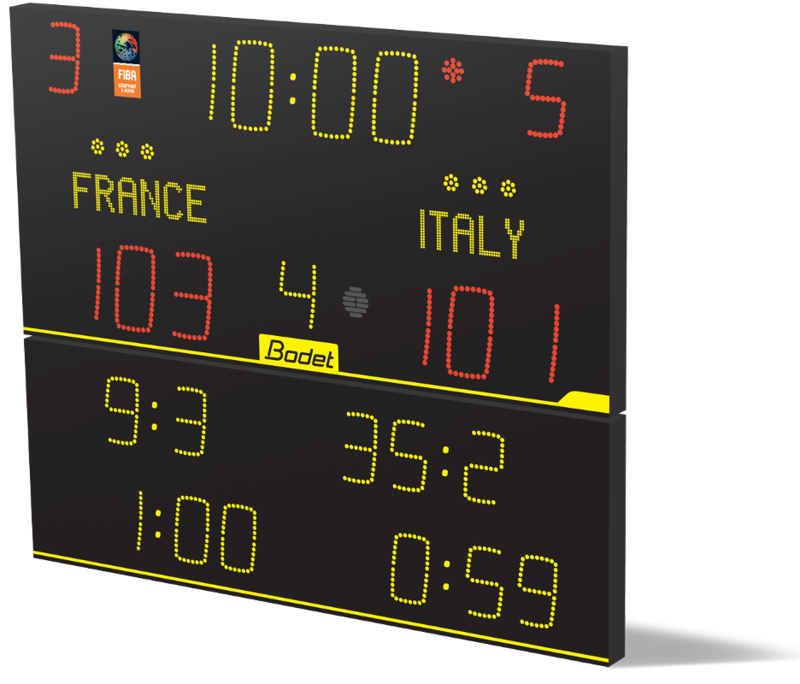 The scoreboard is designed for large halls due to its large size and its high-brightness LEDs. It can also be used for floorball and rink hockey on account of its ability to display penalty times.